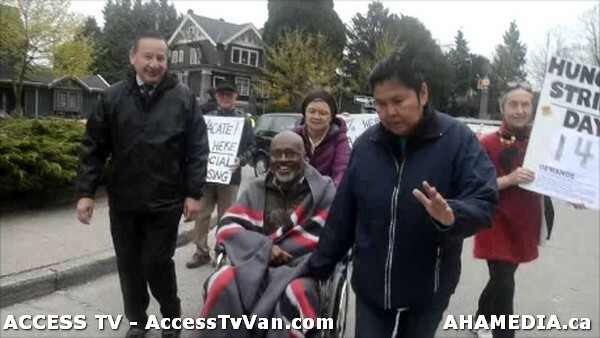 On Thursday, April 4th, Homeless Dave will be pushed in his wheelchair in a procession from Main and Hastings to City Hall. 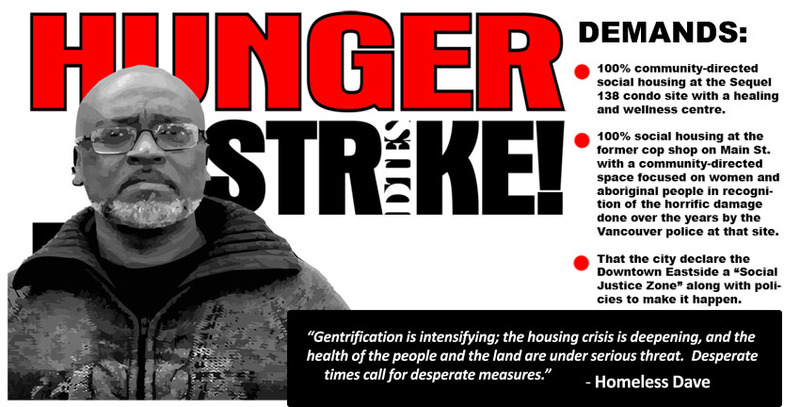 This will be Day 14 of Dave’s hunger strike for social housing and to stop gentrification in the Downtown Eastside. 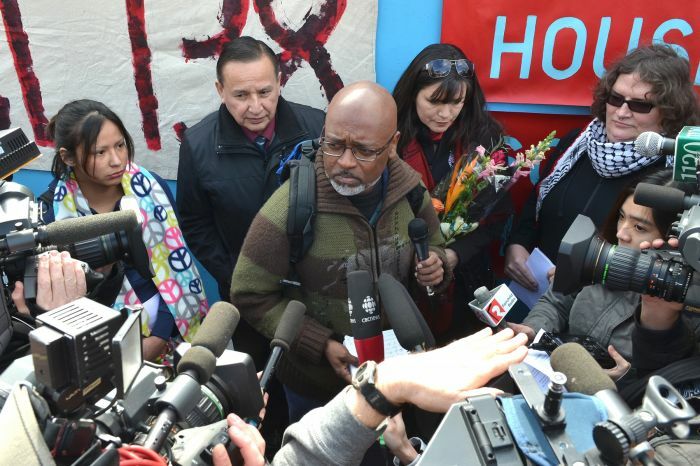 At City Hall, Dave’s supporters, including Grand Chief Stewart Phillip, will deliver a letter to the Mayor’s office that requests a meeting and a response to hunger strike demands. At this time, Dave will make a presentation and be available for questions. 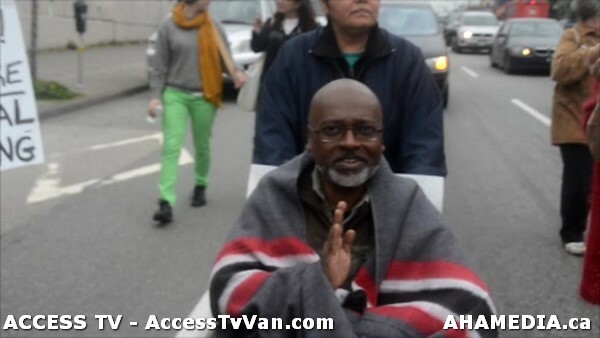 Also, learn about Dave’s weight and health as he enters his third week without food. 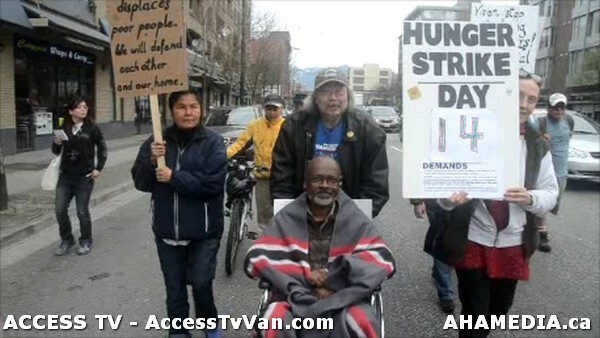 There is a lot going on in the DTES these days and people are willing to work together on a platform of common ground that does not leave out the poor man. How can this be done? Well, campaigns like this are just as important as all the political rallying going on to prepare us for the provincial elections. 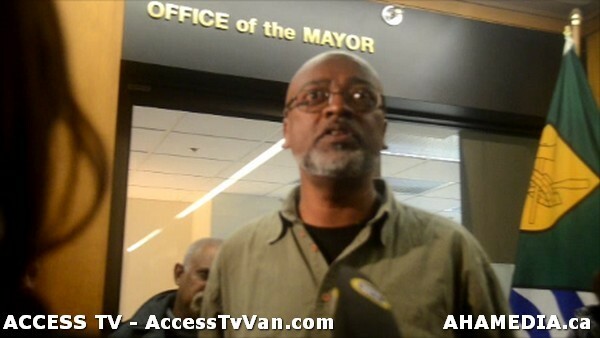 On a political level we must hand the wishes of the community over to the Mayor and Council and expect them to be respectful of the wishes of the community and follow the plan of development without displacement. So far so good… march on, perhaps stop and think for awhile?